The National Institute of Allergy and Infectious Diseases (NIAID) Division of Microbiology and Infectious Diseases (DMID) is seeking proposals for nonclinical product development support for promising interventional agents for infectious disease threats. The selected contractors will assist NIAID program staff in providing all support and required documentation needed for preclinical/nonclinical activities to support Investigational New Drugs (INDs), New Drug Application (NDA), or Biologic License Applications (BLAs) for advanced products. 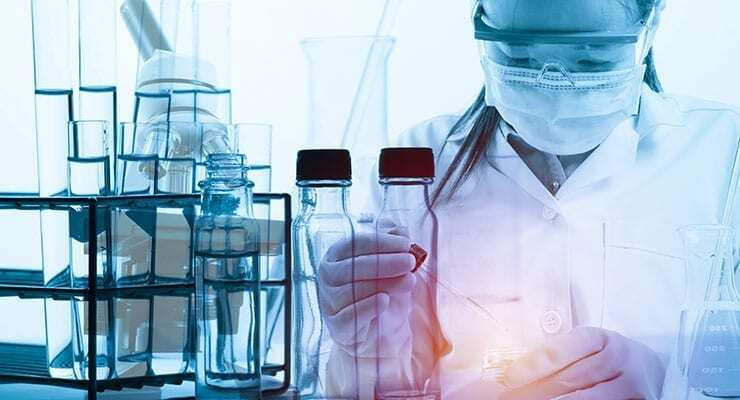 The development and introduction of new therapeutic products against potential agents of bioterrorism, drug-resistant pathogens, emerging and re-emerging infectious diseases, as well as infectious diseases prevalent in resource-limited countries remain a high public health priority. To assist in filling these public health gaps, the NIAID requires a nontraditional, proactive, and product development-oriented program to provide preclinical and non-clinical development support for promising therapeutic candidates that emerge from academia, the private sector, or other sources. SRI International was awarded a contract in 2011 to furnish such product development capabilities using the Indefinite Delivery, Indefinite Quantity (IDIQ) contract mechanism (Contract Number HHSN272201100022I). The purpose of the current solicitation is to ensure this valuable NIAID resource continues to offer a comprehensive array of capabilities with the intent of providing a discrete subset of product development services that will propel new products forward. This resource is intended to be applied on a case-by-case basis for a diverse collection of interventional agent product candidates rather than to carry a single product candidate through the entire preclinical development pathway. These services are intended to help a wide variety of investigators in a number of scientific areas to obtain critical data needed to attract additional funding, gain prospective partnerships (either for further development or to support clinical trials), fulfill regulatory requirements, and complete necessary studies to satisfy regulatory requirements. This is a Multiple Award Indefinite Quantity contract with a $10,000 minimum and $94,312,400 maximum for successful performance of this contract over a period of up to 10 years. Further details are available via Solicitation Number: RFP-NIAID-DMID-NIHAI2017090. The response deadline is Jun 28, 2017 2:00 pm Eastern.